Nancy Oliver Gray, CFRE, joined the firm in 2017 as a Senior Consultant. She provides advancement consulting services to colleges, universities, secondary schools and other non-profits nationally. Services focus on developing and strengthening Boards of Trustees and Foundation Boards; campaign planning and implementation; improving annual, capital, major and planned gift programs and utilization of volunteers; strategic planning; and public relations, integrated marketing and other aspects of institutional advancement. As Hollins’ eleventh president, Nancy also oversaw the creation of new academic programs: majors in environmental studies and environmental science; certificate programs in leadership studies; data analytics, and musical theatre; a seminar program especially designed for first-year students; Master of Fine Arts degrees in playwriting and children’s book writing and illustrating; and the Honors Research Seminars, a faculty-designed program that provides students a multidisciplinary and research-based experience. Hollins also received the 2018 CASE Educational Fundraising Award for Private Liberal Arts Institutions with Endowments over $100 Million in Overall Performance. Prior to her presidencies, Nancy served as vice president for institutional advancement at both Rider University and Princeton Theological Seminary following prior development experience in major gifts and campaign planning at The Lawrenceville School, Oberlin College, the University of Louisville and Vanderbilt University. 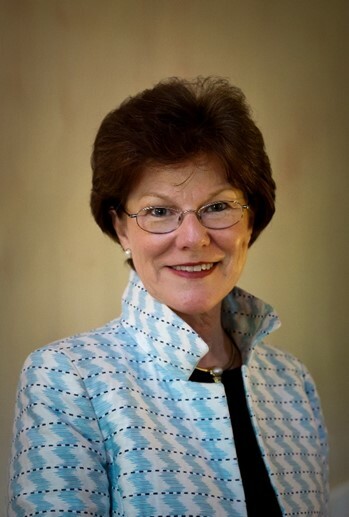 Nancy has served on the boards of The Southern Association of Colleges and Schools Commission on Colleges and the Women’s College Coalition and has served as the presidential sponsor of the Virginia Network of American Council on Education’s Office of Women in Higher Education. She has served on the Steering Committee of Admission Practices for the National Association of College Admission Counseling. She is also past chair of the Council of Independent Colleges in Virginia, past vice chair of the Virginia Foundation for Independent Colleges, and has served as vice chair of the board for resource development for the Board of Directors of the Council of Independent Colleges. Currently, she serves on the boards of Princeton Theological Seminary, Roanoke Symphony, the Advisory Board for the Virginia Tech School of Public and International Affairs and chairs the board of Mill Mountain Theatre.